Comments Off on Local State College rapper Joe Smoke drops first solo mixtape! State College rapper Joe Smoke may have just dropped his first solo mixtape, but he’s already a fortified presence in State College’s rap/hip-hop scene. His career began with the local hip-hop group Common Ground as both a member and their manager. Once the group parted ways he delved into his own solo project. A project that, if his debut mixtape Prisoner Of My Own Mind is any indication, is a promising one to say the least. Download the mixtape by clicking HERE, and check out our exclusive interview with the talented artist below! SITR: Tell us a little bit about yourself, where you’re from, that kind of thing. 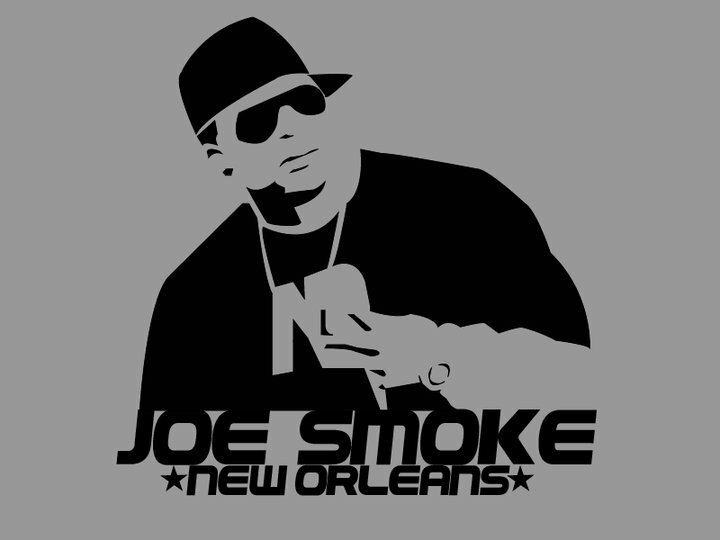 Joe Smoke: I’m originally from New Orleans, LA. I moved to State College in 2005 following Hurricane Katrina. My parents were divorced at the time, and my mom was actually attending Penn State to pursue a doctorate so this ended up being the best option for me at the time. SITR: How and when did you first get into music? Joe Smoke: I got into music simply due to family. My father ran his own jazz band. One of my uncles was in the band. I had another uncle who played music for a church choir. Music and I just clicked. My first love was drums, then that translated into hip-hop at some point. Then I thought, I could do this. So I started by turning poetry into lyrics. I never actually recorded until I was 18, but I had written and performed songs as early as 12 years old. SITR: Do you have any goals you want to achieve with your music? Joe Smoke: My goals are just to be a success with music. Not necessarily on the mainstream scene. But I enjoy making music that people feel, that people party to, that people endure hardship through. Music for every feeling. I want to be able to touch on any subject and not just the typical stuff that everyone is sick of. SITR: Tell us about your time with Common Ground. Joe Smoke: In 2006, I formed a group in the area known as Common Ground. It consisted of myself (Joe Smoke) and 2 friends, Rankstar and T.I.G. The group made three albums and saw lots of success. We opened for big names such as Jay-Z, Fabolous, T-pain, Lloyd Banks, and Mac Miller. Not only was I an artist, but I also was the manager for the group. I enjoyed every minute that Common Ground was together. We had some awesome times and on top of everything we were friends, brothers even. We made music, music videos, we put in a lot of work as a unit. Even from the management aspect, I always tried to keep things equal between us. SITR: What made you decide to break from Common Ground and go solo? Joe Smoke: When we decided to break up as a group, it was a little weird. There was absolutely no bad blood amongst anyone, but somethings things just change. We all reached different points in our lives. This is the first chance I ever really have had to work as a solo artist and I enjoy it. I like it primarily because all responsibilities are on me, and I’m the main person that has to be satisfied with the music. As much as I want to please my fans, I like being in control and solely responsible, so if something is wack, I can only blame me. SITR: Describe some of your biggest influences in your life and your music. Joe Smoke: My biggest influences are my family and local artists. I have big name artists whose music I like, but I have more respect for artists who are still grinding like me. Like I remember Lil Wayne before the world new him, same with Meek Mill and Mac Miller. However, once they had major success, they kinda stopped going as hard. So I start listening for the next underground phenom. SITR: Tell us about your mixtape Prisoner Of My Own Mind. Joe Smoke: Although I used a variety of industry beats for the Prisoner Of My Own Mind mixtape, I used a lot of originals too. I wanted to show my versatility and what I can do as a solo artist. Over 5000 views later, i think I accomplished that. My next project will be absolutely no features. Because now that I have proved my talents, Its time to hit em’ hard. Also, keep your ear to the ground for the first official GSC mixtape. GSC is a new group I will be managing and promoting in the area. Also, follow me on twitter at @JoeSmokeNOLA. Joe Smoke is already working on his next mixtape, so stay tuned for more great material from the local rap artist! And make sure to check out Prisoner Of My Own Mind!